Heroin is a highly addictive opioid drug, and its use has repercussions that extend far beyond the individual user. 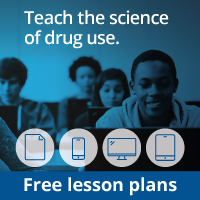 The medical and social consequences of drug use—such as hepatitis, HIV/AIDS, fetal effects, crime, violence, and disruptions in family, workplace, and educational environments—have a devastating impact on society and cost billions of dollars each year. 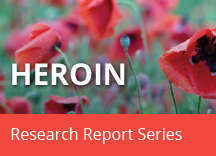 Although heroin use in the general population is rather low, the numbers of people starting to use heroin have been steadily rising since 2007.1 This may be due in part to a shift from misuse of prescription pain relievers to heroin as a readily available, cheaper alternative2-5 and the misperception that pure heroin is safer than less pure forms because it does not need to be injected. Like many other chronic diseases, substance use disorders can be treated. Medications are available to treat heroin use disorder while reducing drug cravings and withdrawal symptoms, thus improving the odds of achieving abstinence. There are now a variety of medications that can be tailored to a person’s recovery needs while taking into account co-occurring health conditions. Medication combined with behavioral therapy is particularly effective, offering hope to individuals who suffer from substance use disorders and for those around them.